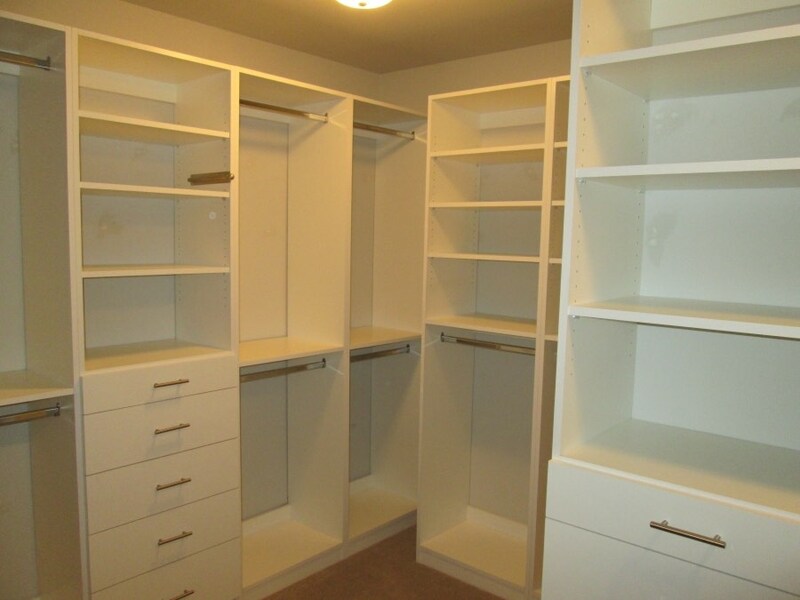 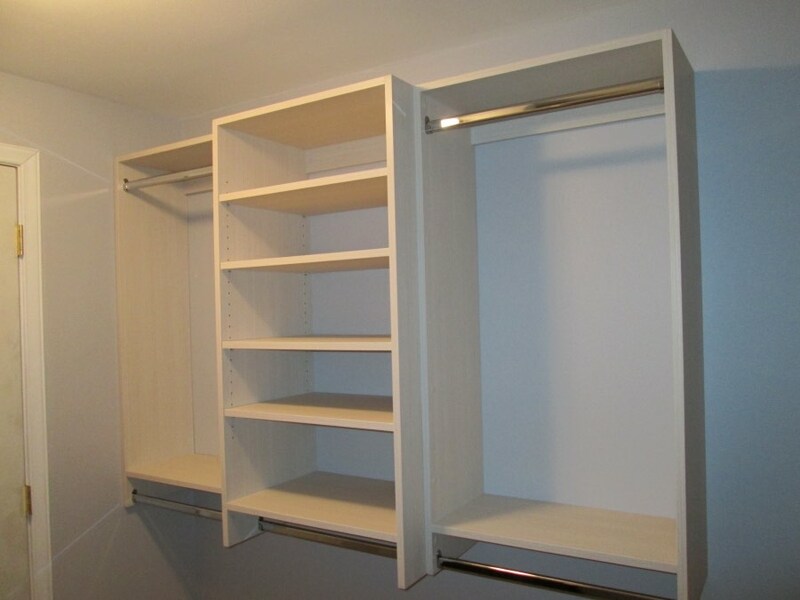 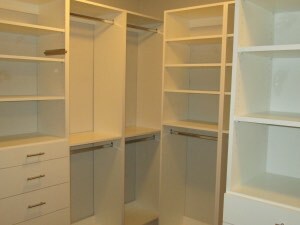 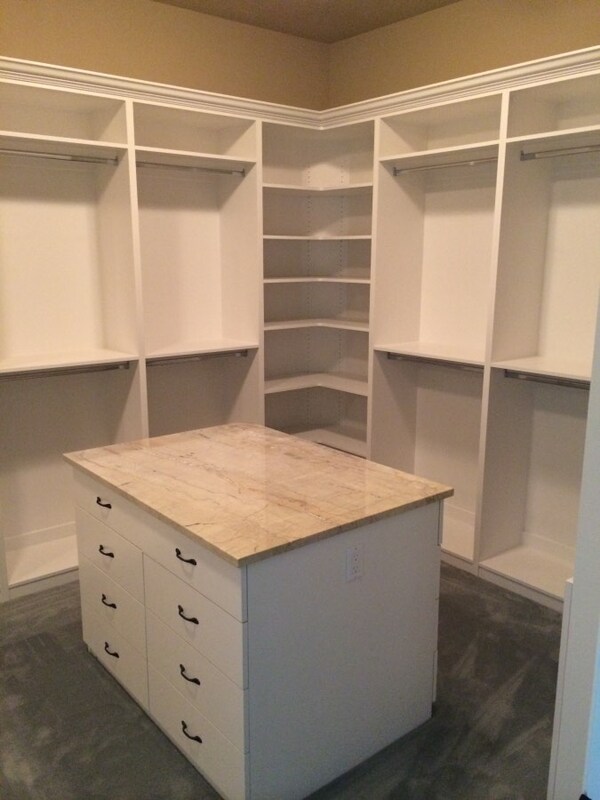 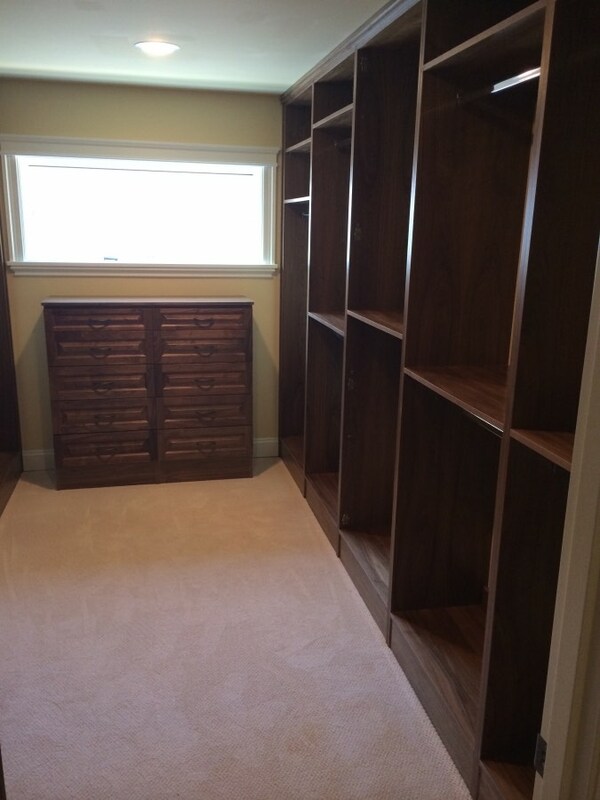 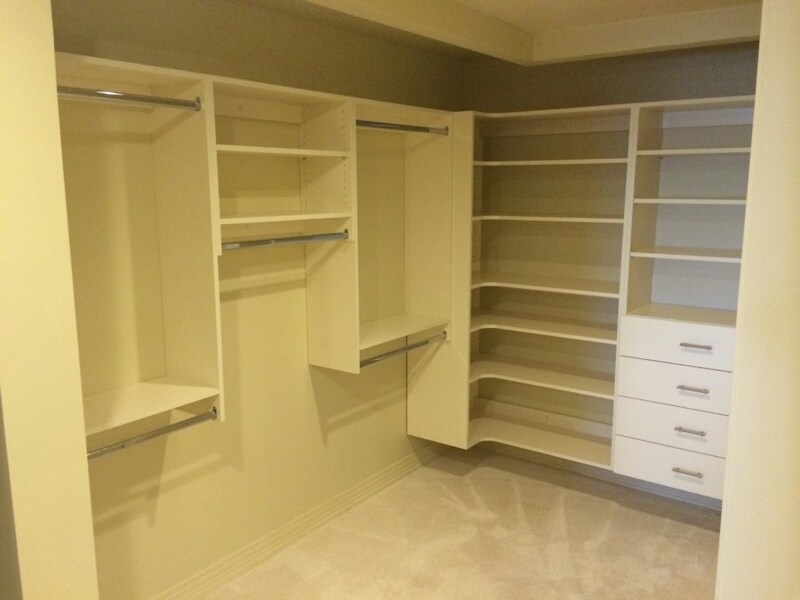 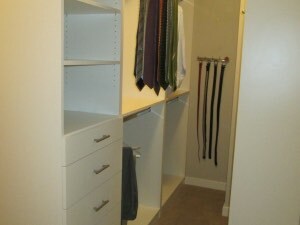 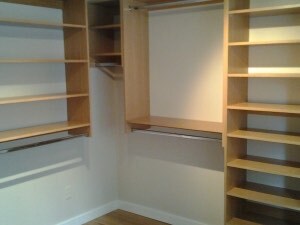 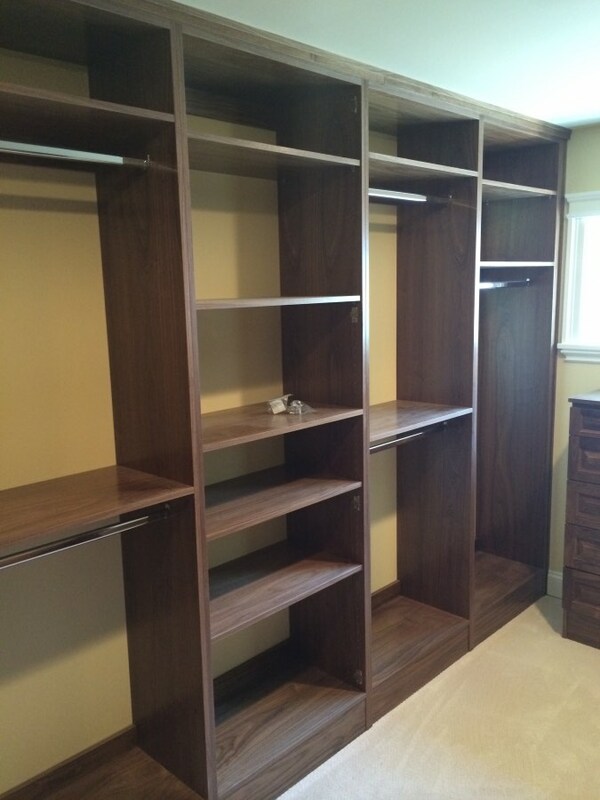 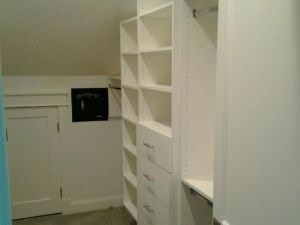 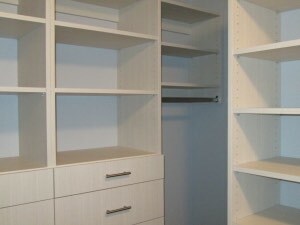 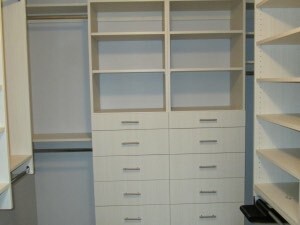 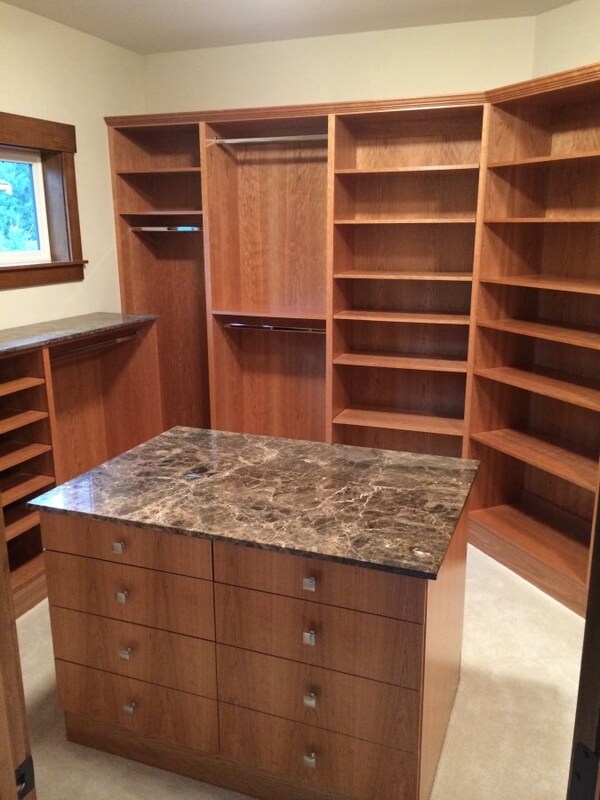 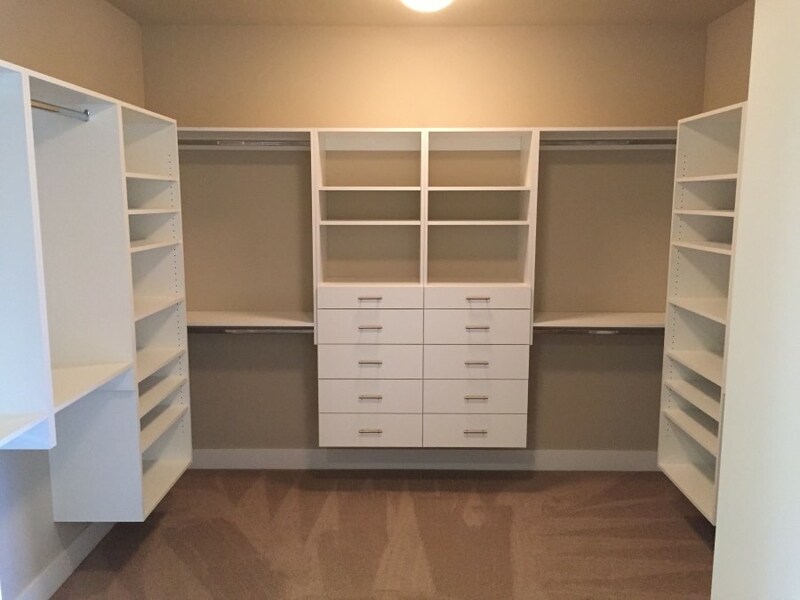 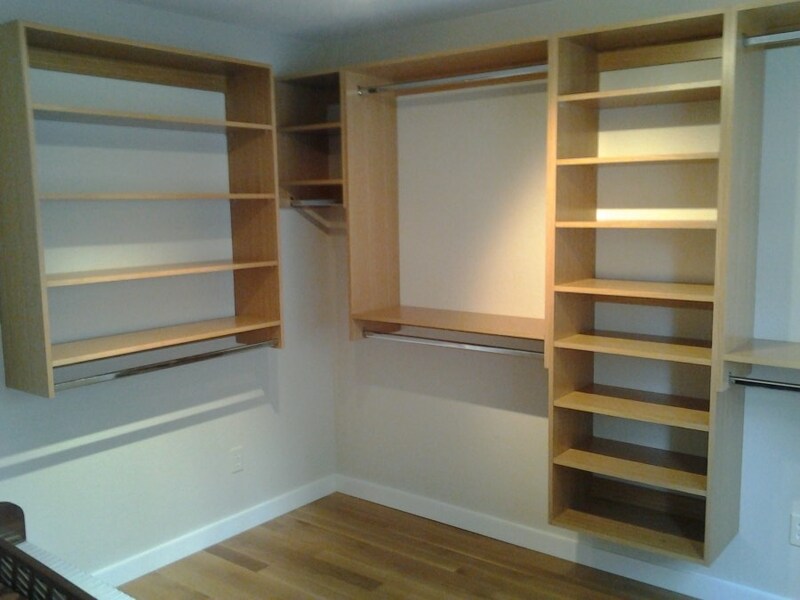 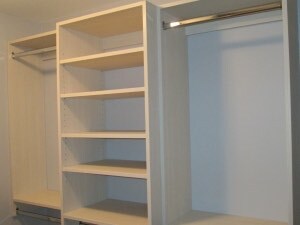 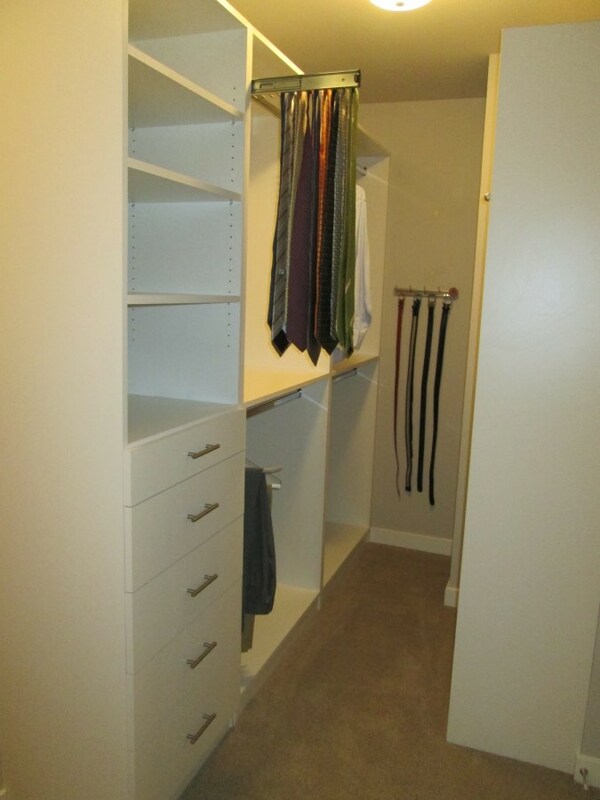 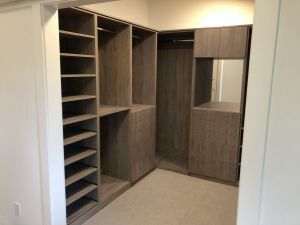 Walk-in closets come in all sizes and configurations, and can range in design from simple to complex. 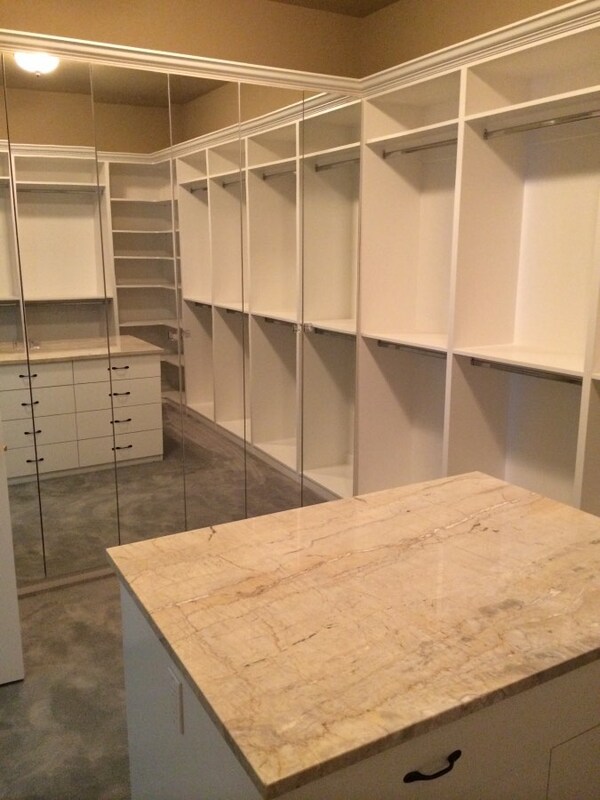 We work with you to determine whether to maximize the space, or design it according to other considerations. 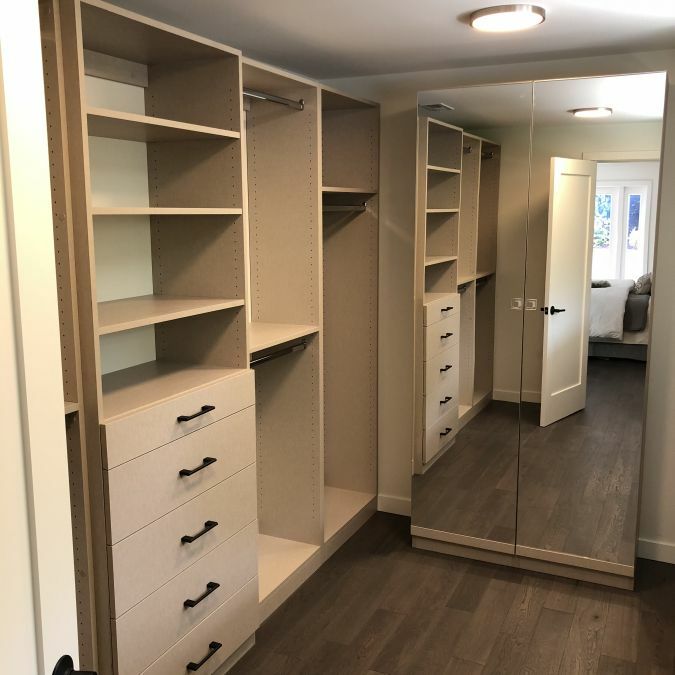 Angled walls, sloping ceilings, outlets, and obstructions peculiar to walk-in closets can affect how the overall design is determined. 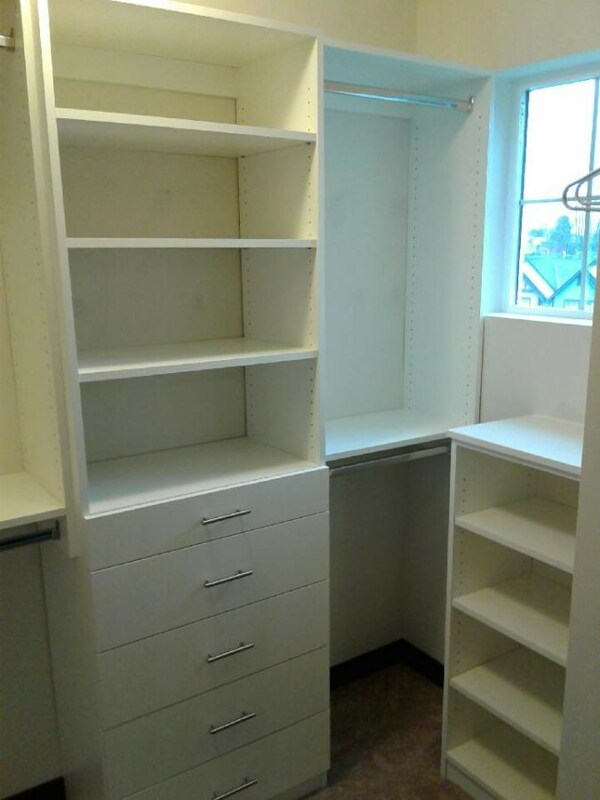 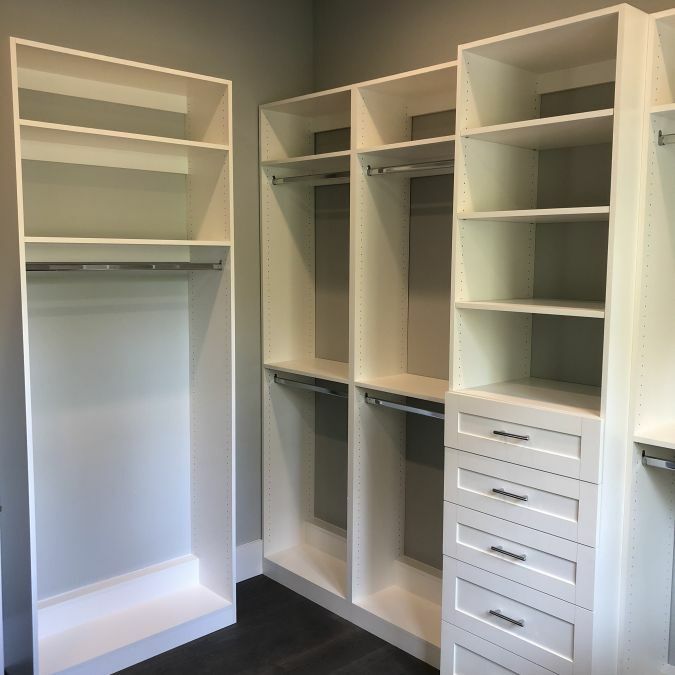 We consider your long, medium and short hang needs, as well as shoe needs, shelving for folded items, dresser drawers and other needs. 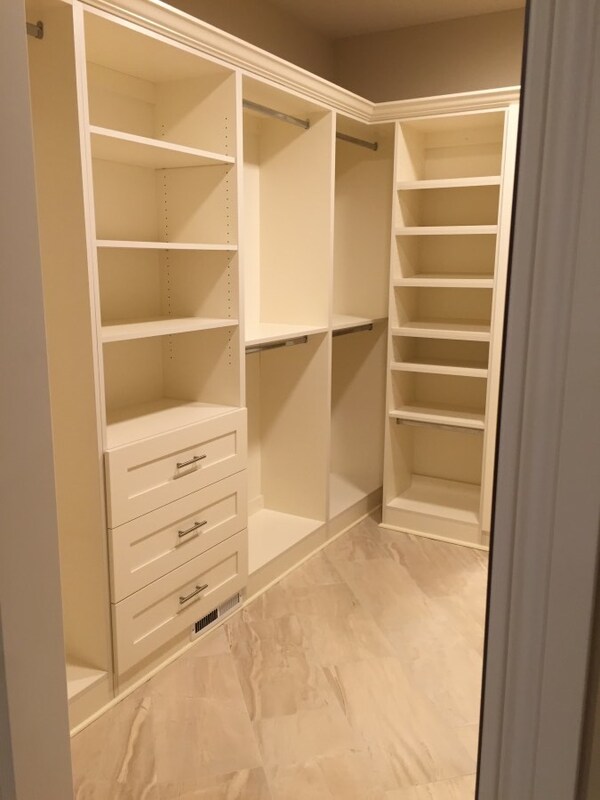 Some walk-in closets are large enough for a custom island; others have high ceilings that require taller units to maximize the space. 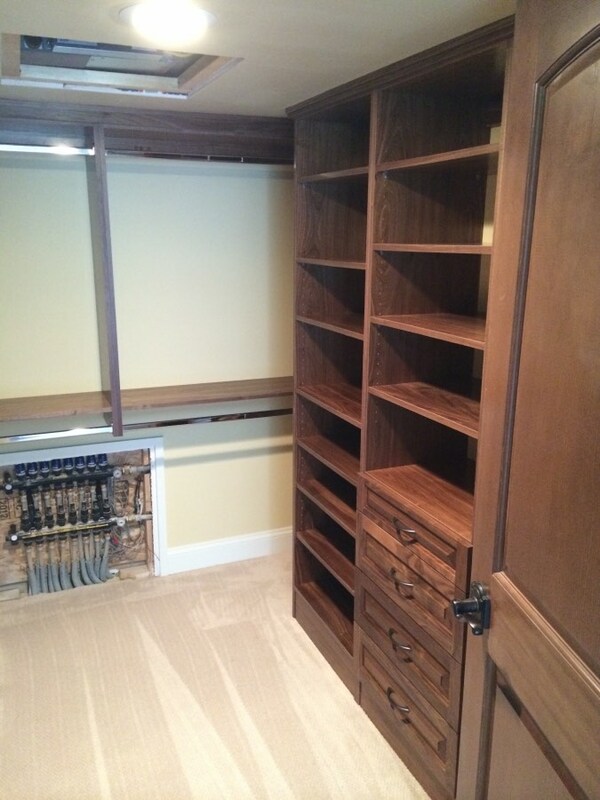 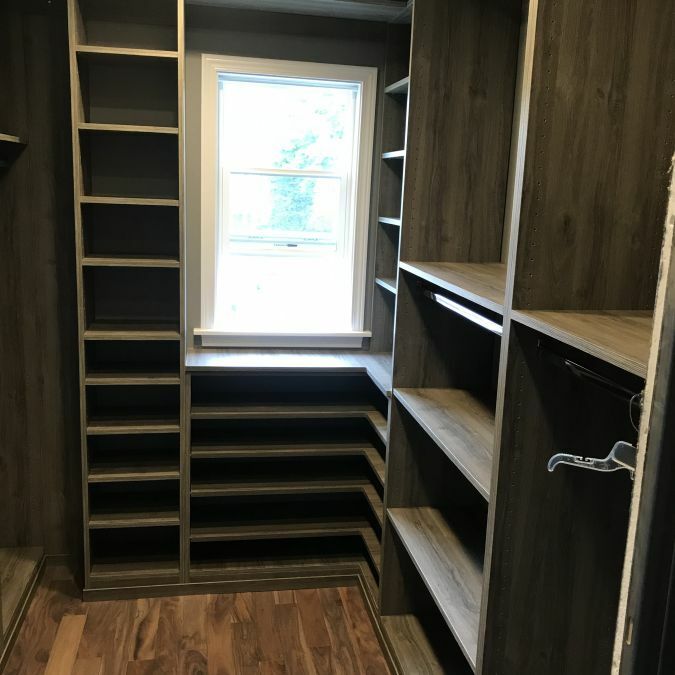 We have closet design solutions for floor vents, attic access situations, and much more--we have experienced and done it all! 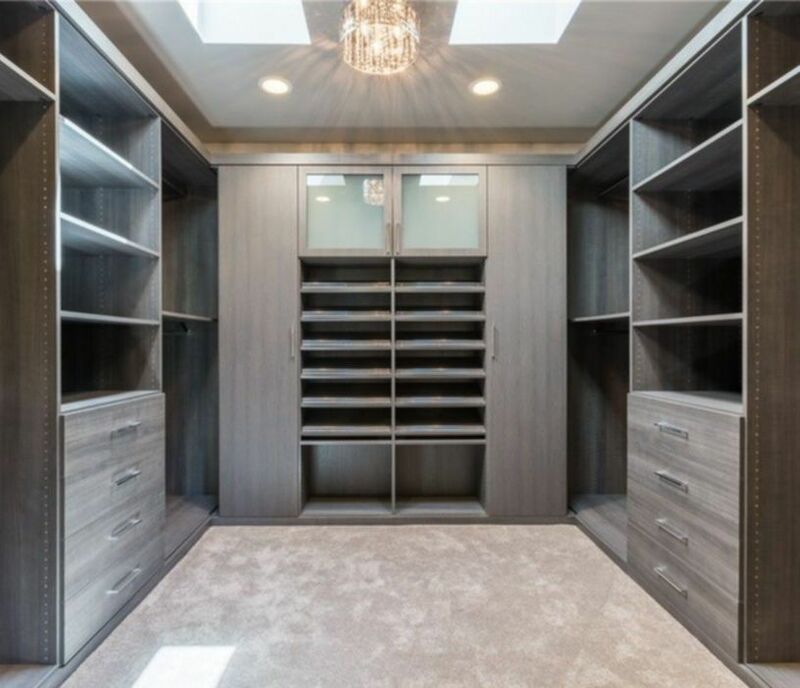 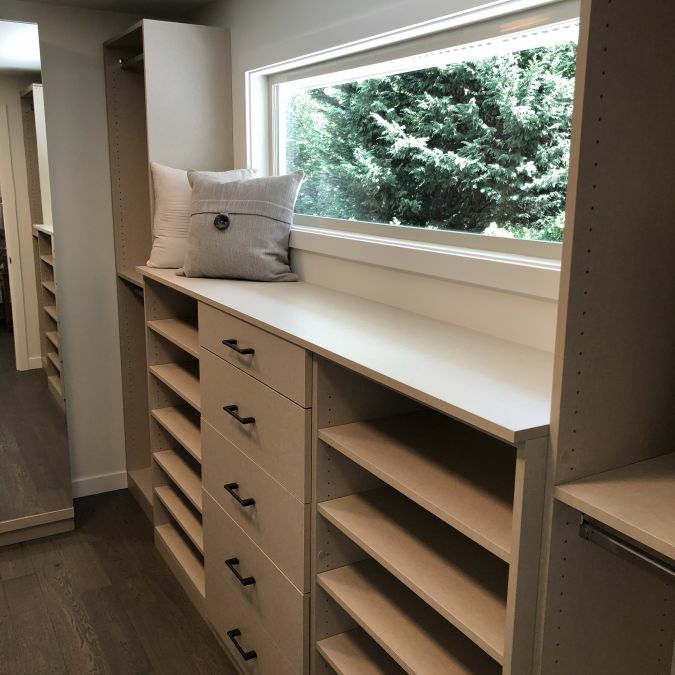 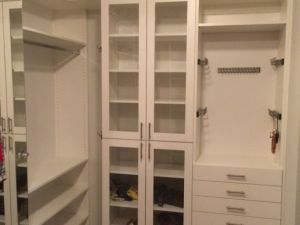 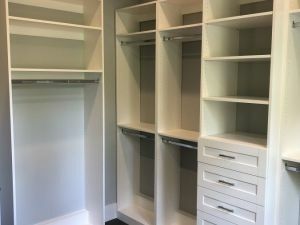 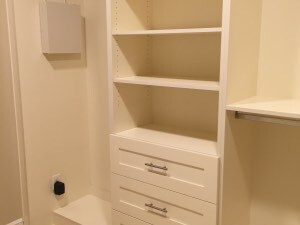 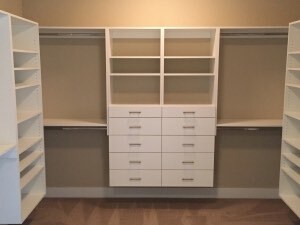 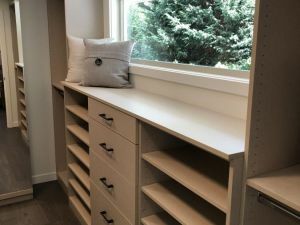 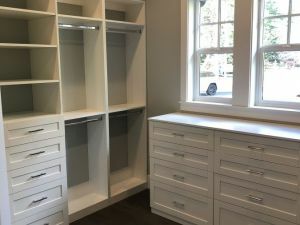 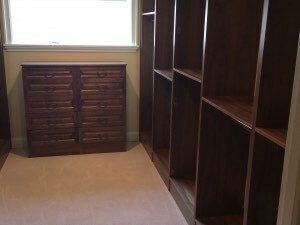 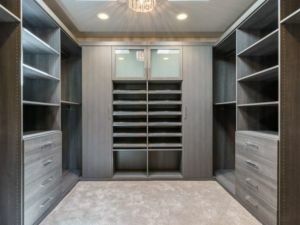 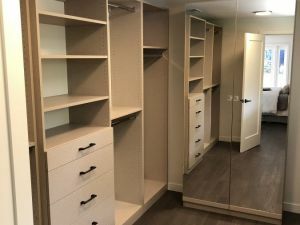 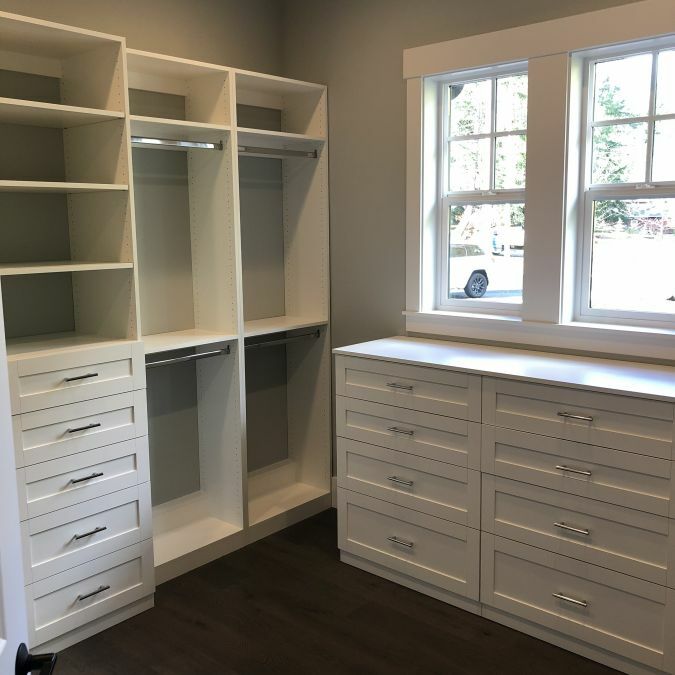 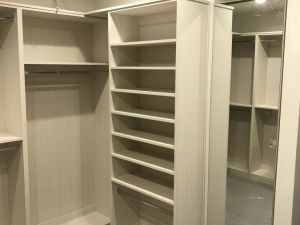 The possibilities that are involved with custom closet organizers are seemingly endless: tilt-out hampers, mirror doors, jewelry drawers and accessory items. 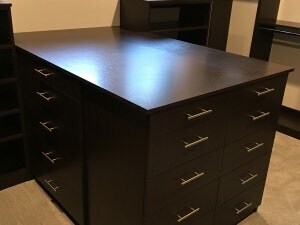 And it doesnt stop there! 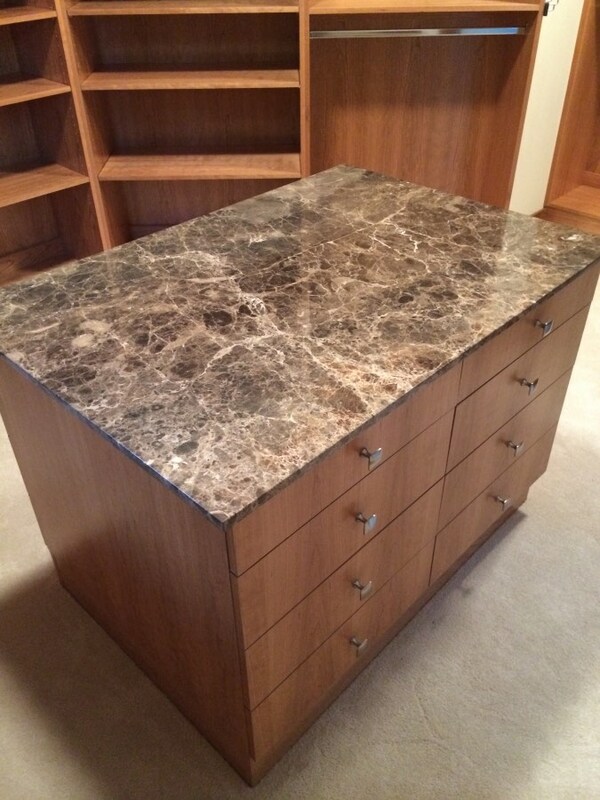 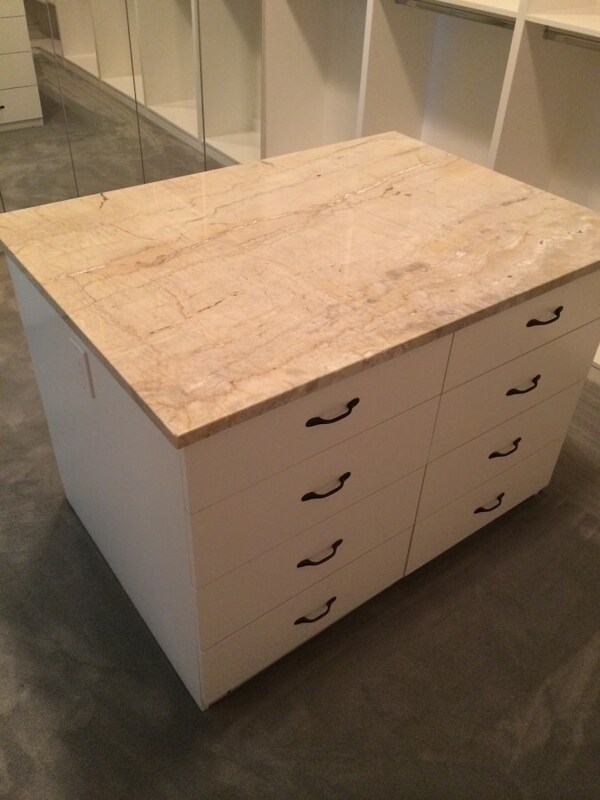 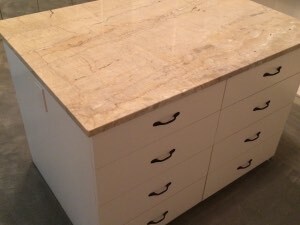 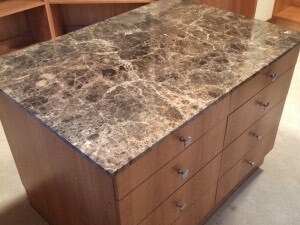 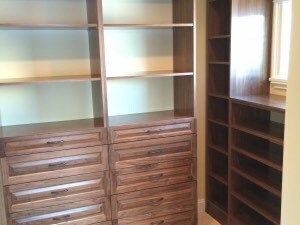 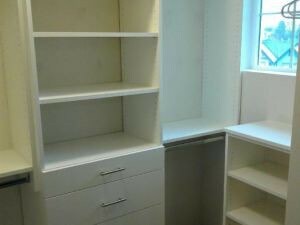 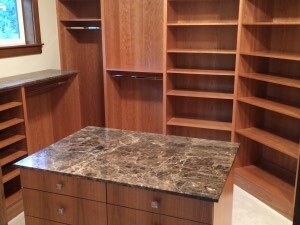 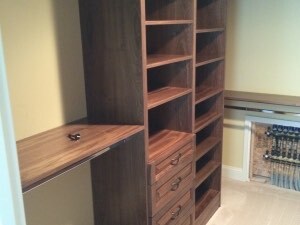 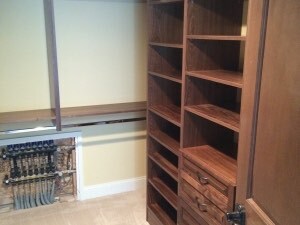 There are many material options, cabinet upgrades, and hardware choices too! 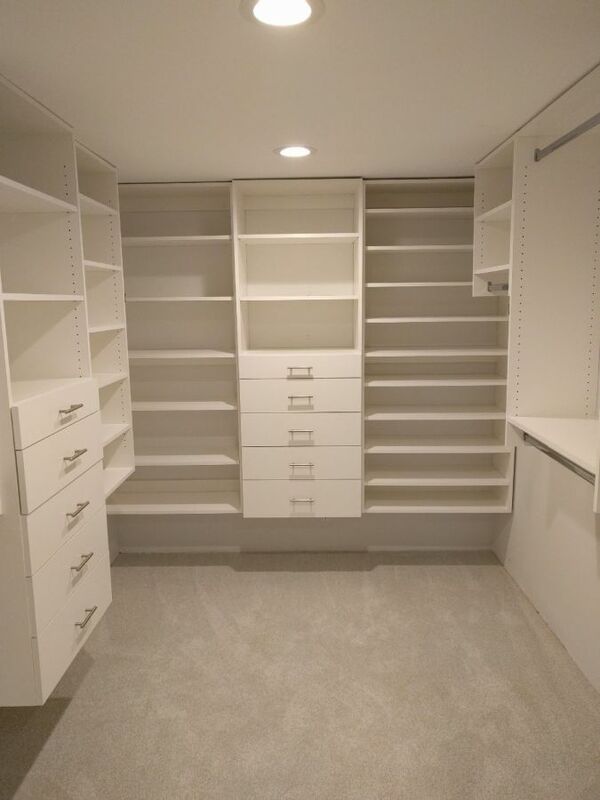 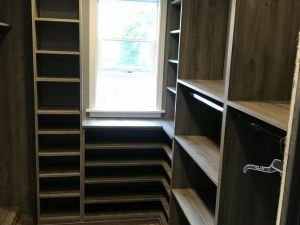 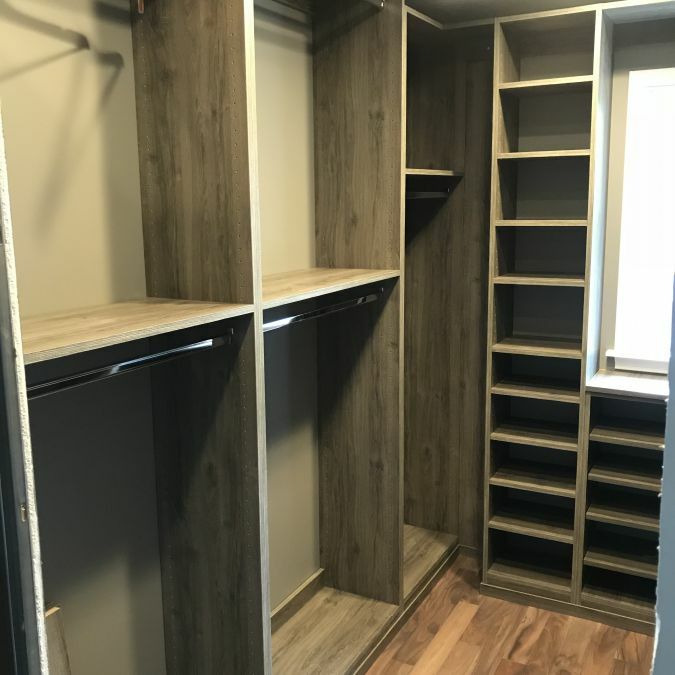 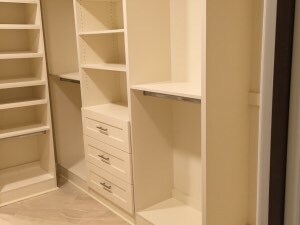 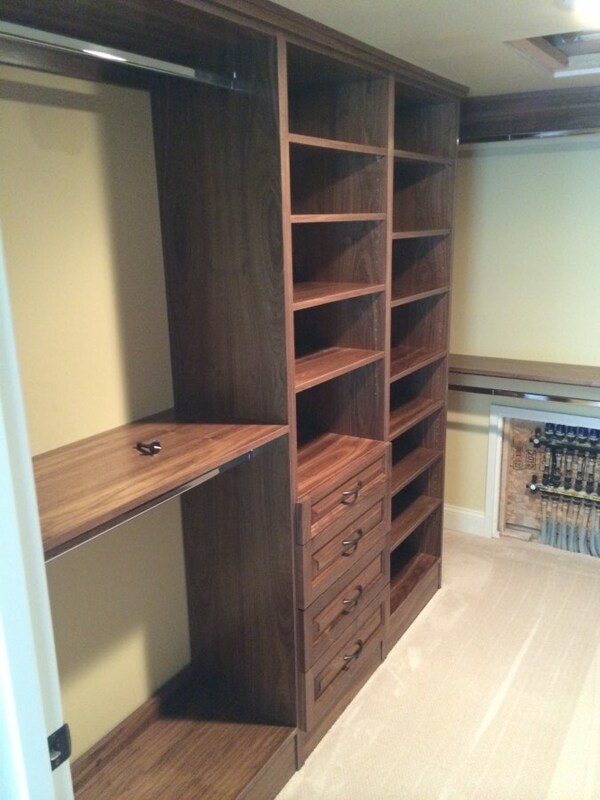 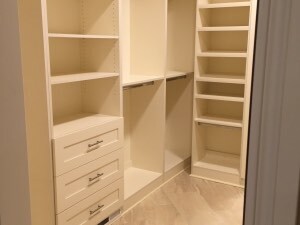 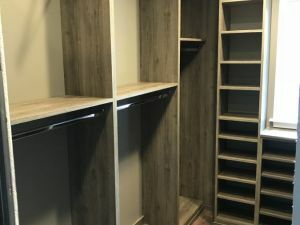 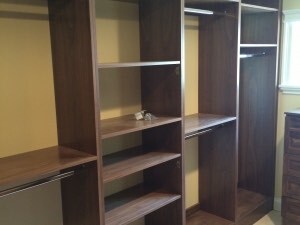 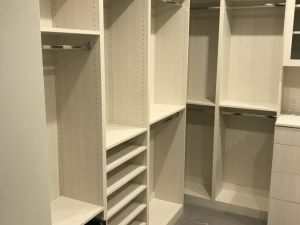 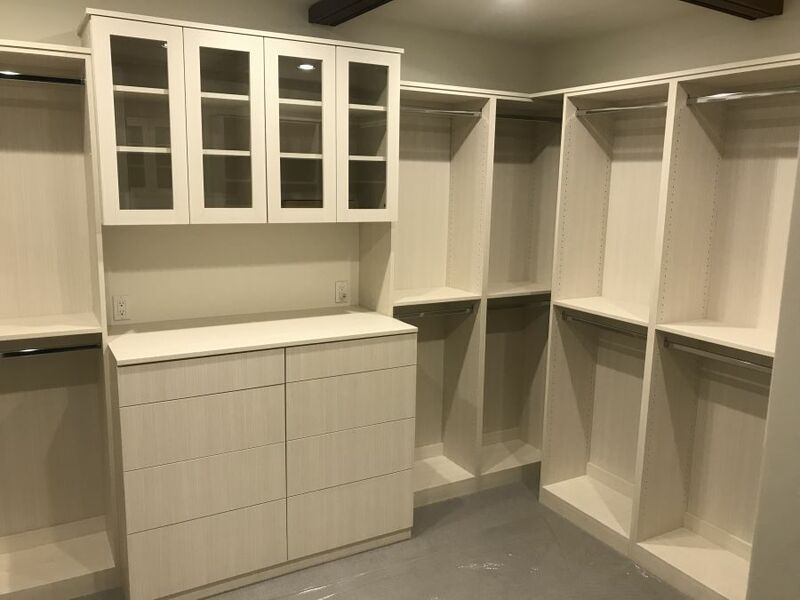 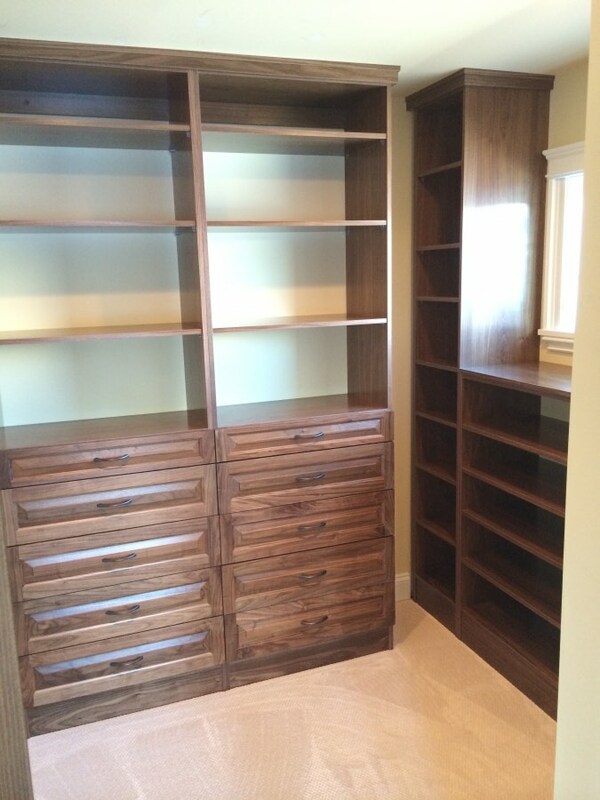 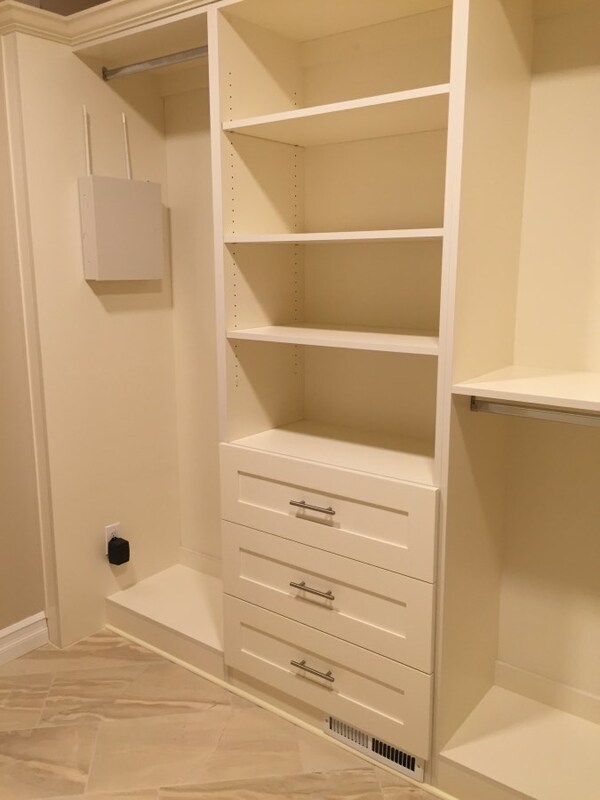 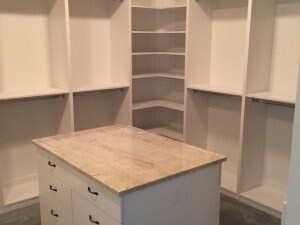 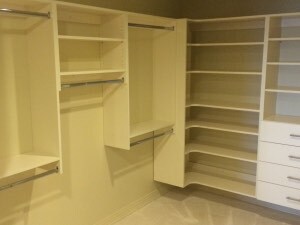 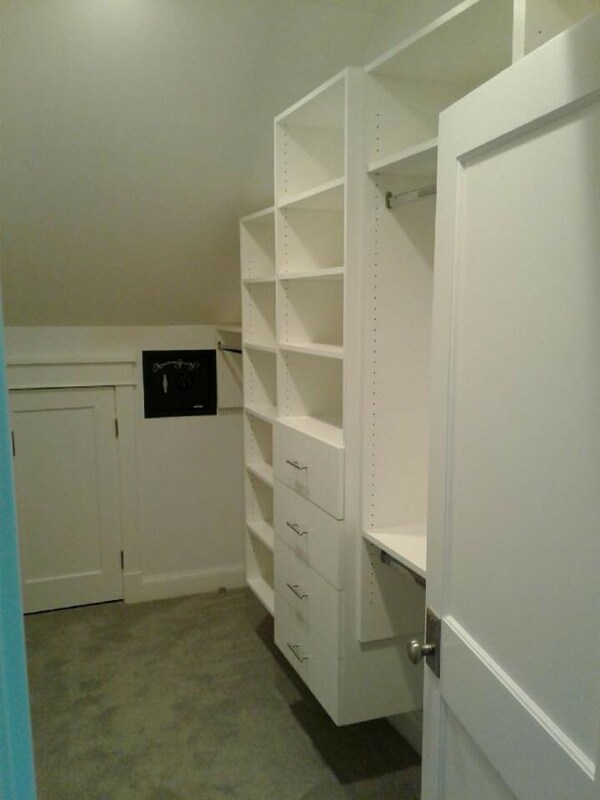 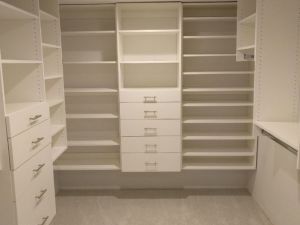 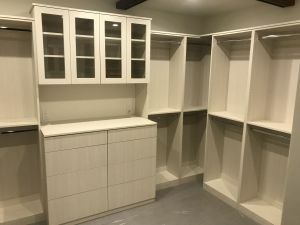 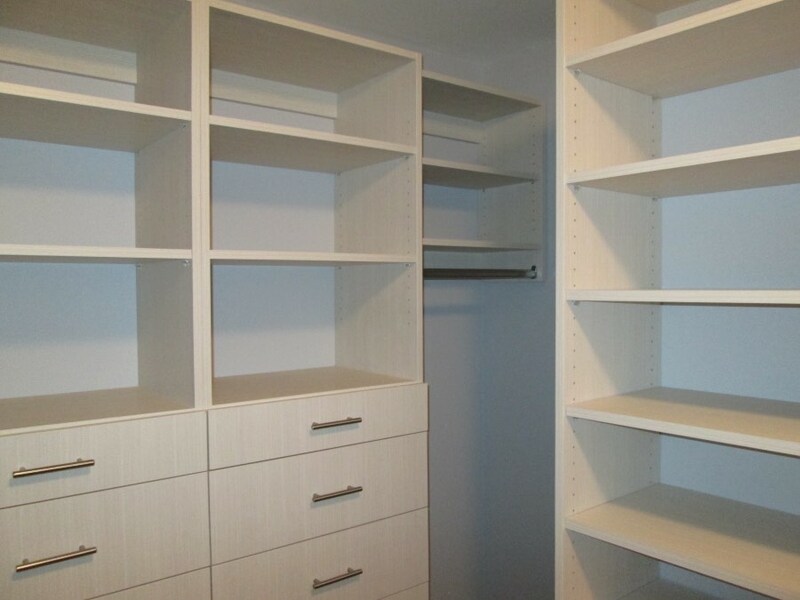 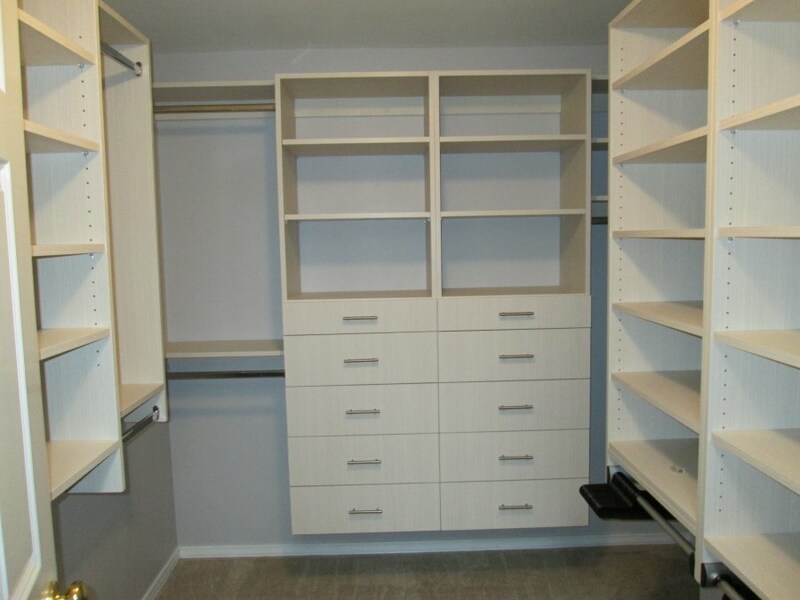 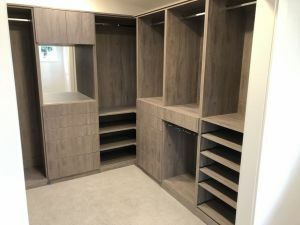 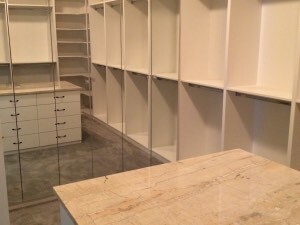 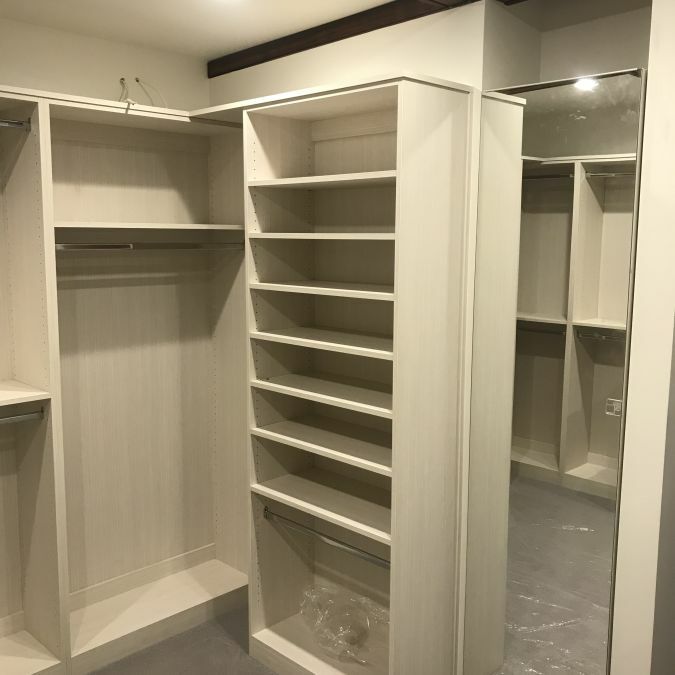 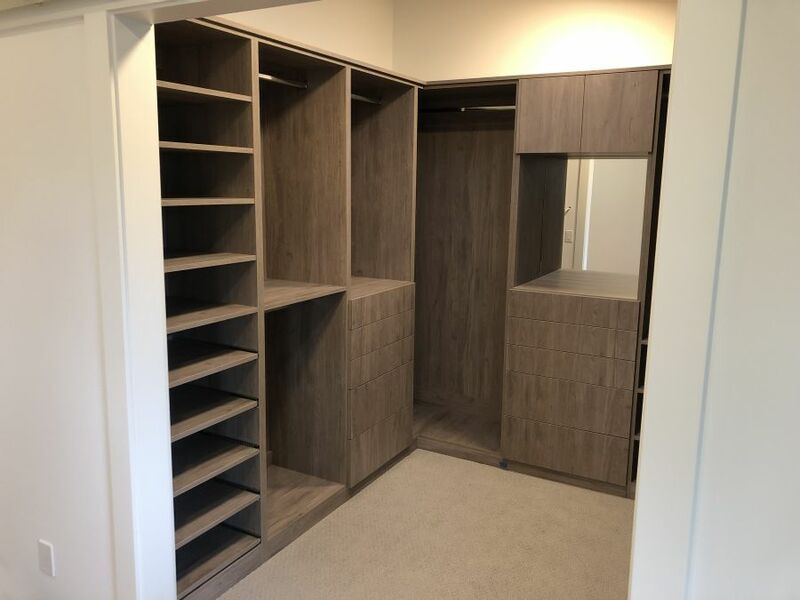 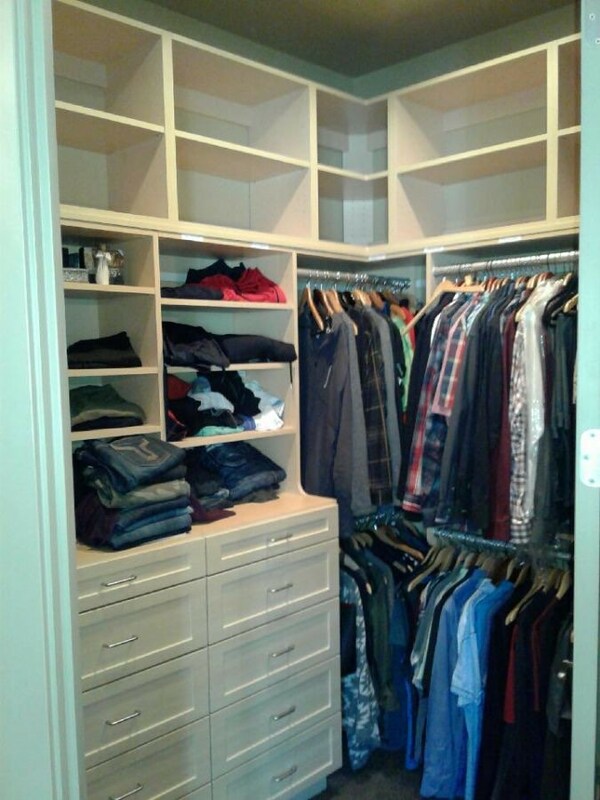 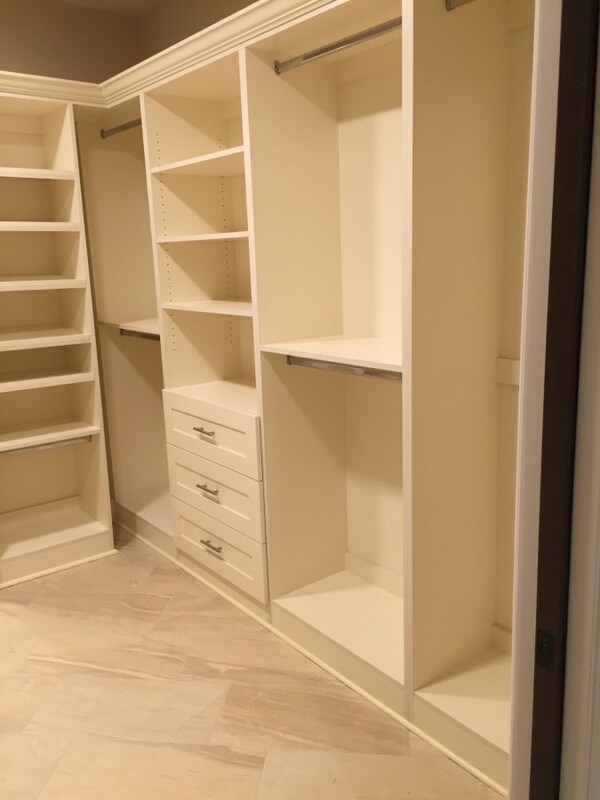 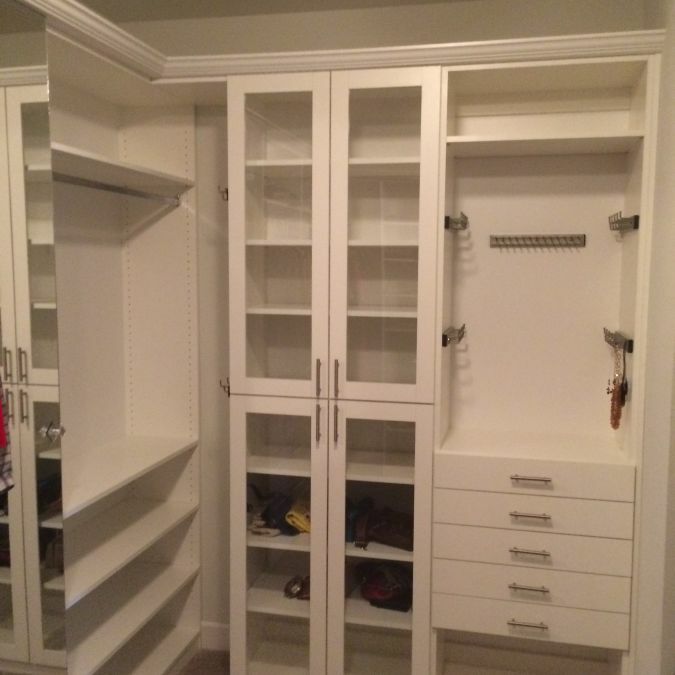 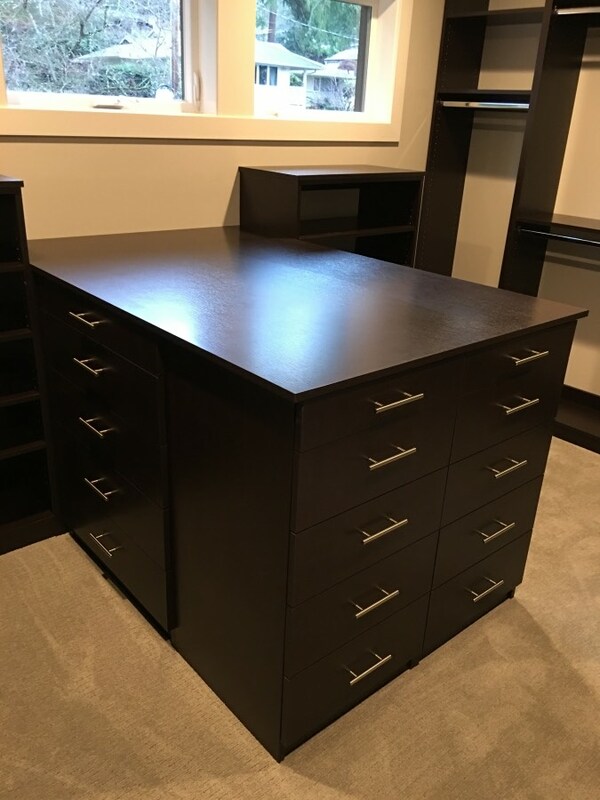 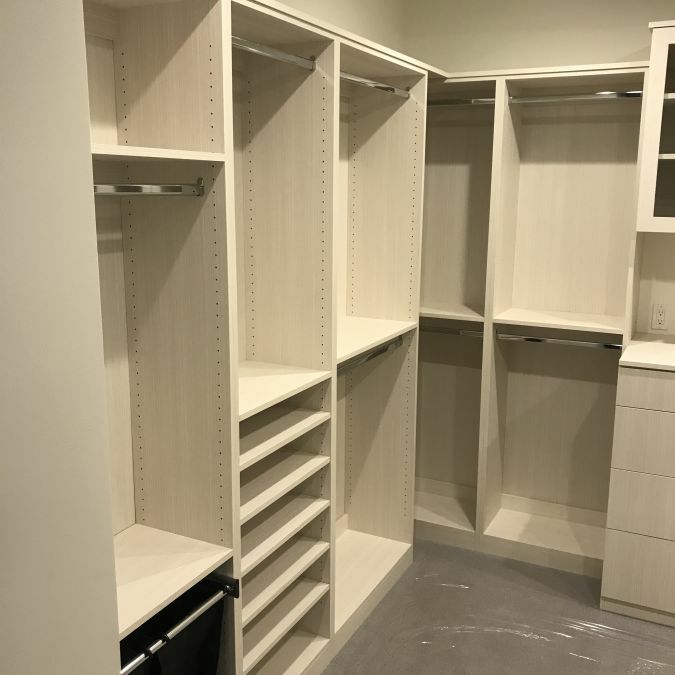 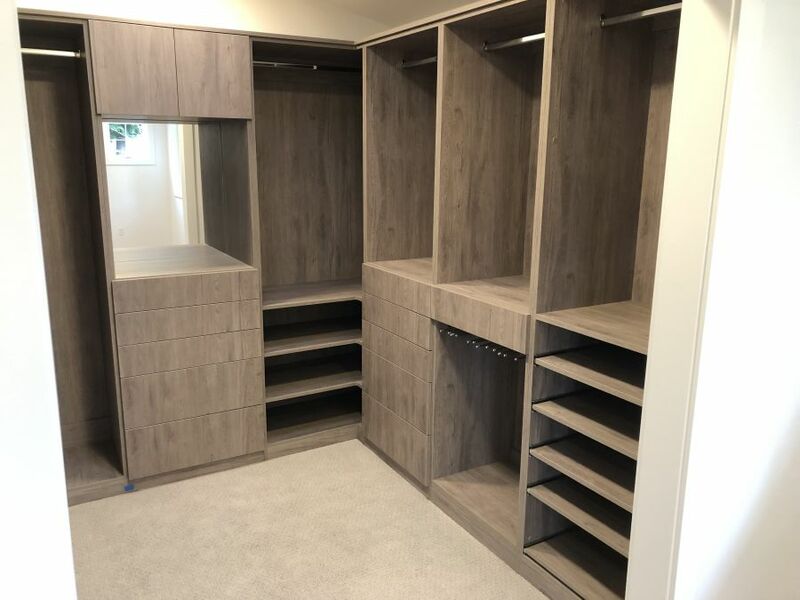 Regardless of the room configuration or complexity, rest assured that we will work with you every step of the way to build an attractive and efficient walk-in closet.